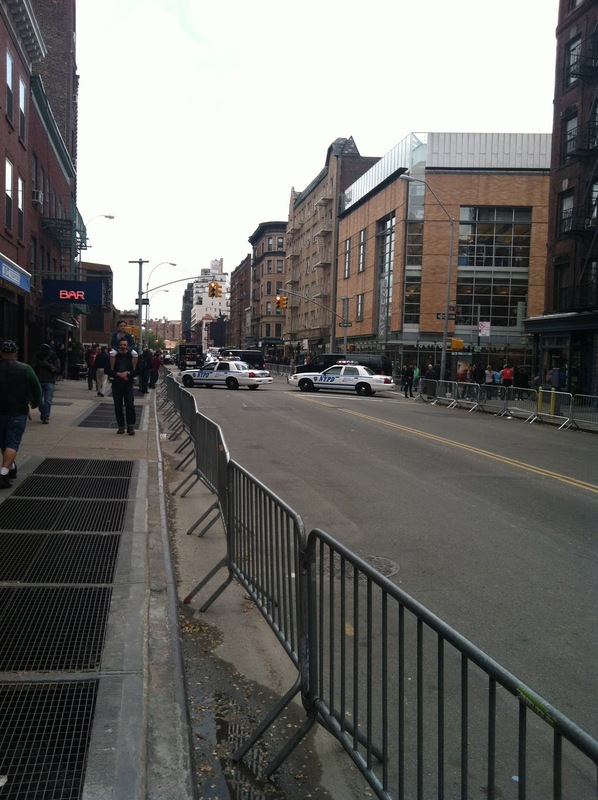 Lady Bunny Blog: THERE GOES THE NEIGHBORHOOD! \My block was heavily barricaded yesterday because Obama was visiting the home of entertainment mogul Harvey Weinstein for one of two fund-raisers. Wait...what's he fundraising for? He can't run again. And I wonder why he only stopped by the homes of wealthy people who can pay tens of thousands to socialize with him and discuss how to make their already easy lives easier? I'm sure there are tons of seniors in the NYC area who would love to discuss Obama's proposed cuts to Social Security. I guess they can't afford to get their message to him. Sounds democratic to me! Or maybe Obama is considering a career as an actor--he makes a great liar!